When I asked what part of sewing jackets you find the most intimidating to sew, many of you left a comment about the collar and lapel. I must have had a premonition, as this week’s episode of It’s Sew Easy gives you a few tips for success. You are right, the collar and lapel is what really makes your jacket stand out … and the good news … it’s easier to sew than you think. In fact, sewing is only a minute part involved in tailoring a collar. The most time-consuming part involves preparing the center front jacket, upper collar, and under collar pattern pieces with interfacing and twill tape, not to mention pad stitching if you are going the traditional tailoring route. The weight of the interfacing will determine the thickness and stability of your lapel and collar, so be sure to test a sample first. 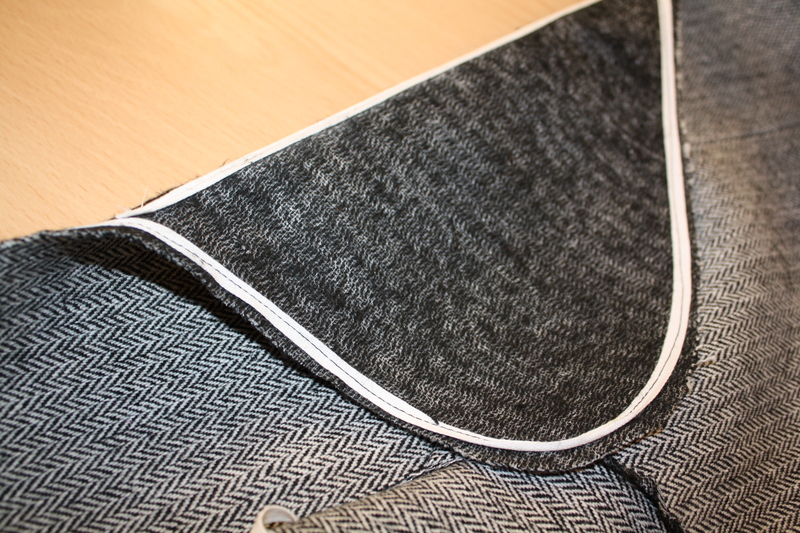 My two favorites for jackets are armo-weft fusible interfacing (shown here) and horse hair canvas (perfect if you plan on pad stitching – which I will show in a later blog post). Fusible interfacing can be added in layers if you need more structure at the end of the lapel, keep that in mind if you interfacing supply is limited. Despite adding interfacing, extra measures need to be taken to prevent the neckline and center front of the jacket from stretching out. Twill tape is the perfect solution! 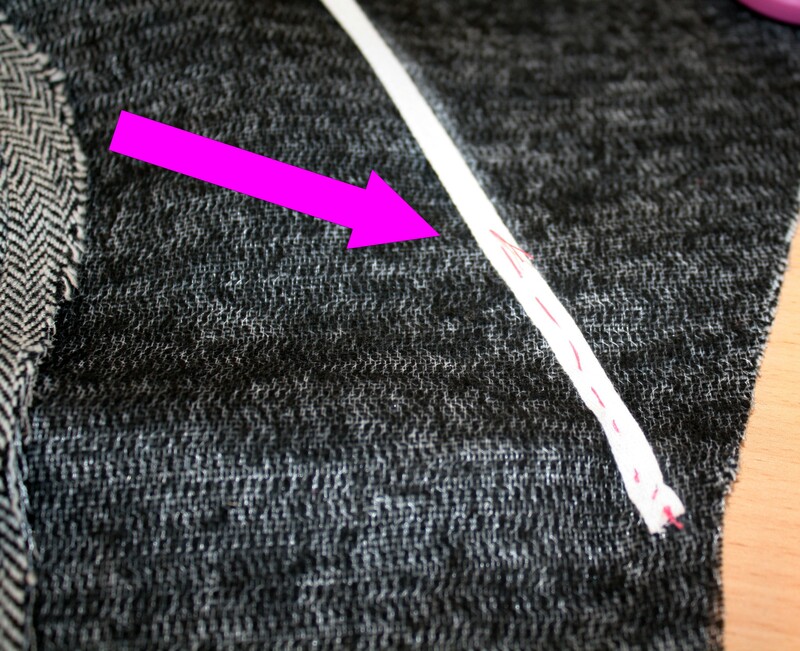 Look closely and you can see hand stitching attaching the 1/4″ wide cotton twill tape to the front edge of the jacket. 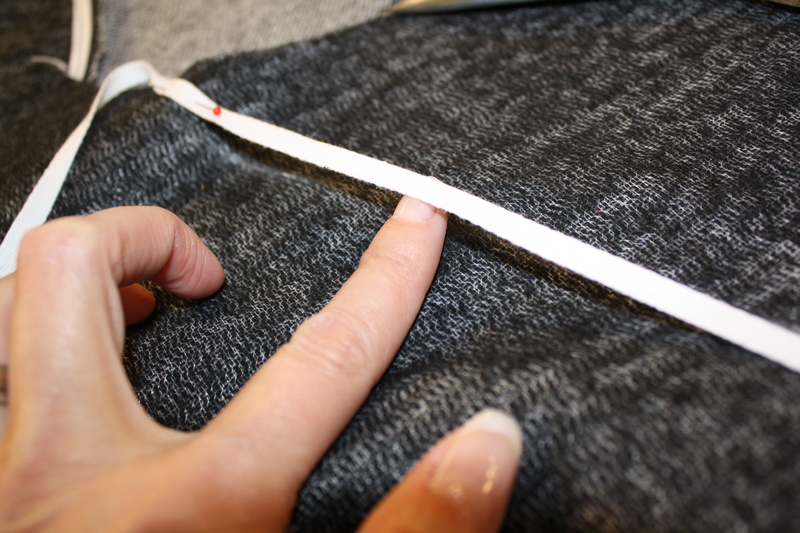 As I am hand stitching, I am holding the twill tape tight and allowing the jacket fabric to ease in. Not too much easing though! Make sure the jacket doesn’t change shape or become skewed. When hand stitching the twill tape to the roll line, keep the twill tape tight (tighter than when we added twill tape to the center front and neckline). Again, easing in the fashion fabric. I use a pin to hold one end of the twill tape and start stitching from the other end. You can see below how much I am easing! Here I started hand stitching the twill tape in place, the main part of the stitch is on the twill tape and I am just picking a short fiber in the fashion fabric, then back through the twill tape. You can barely see the stitching from the right side of the fabric. When you are finished steam press the lapel roll using a seam roll. Again, for more details see this weeks episode of It’s Sew Easy, scroll to the bottom of their page and click on the video. Another Giveaway, this one is for my online class: Sewing a Designer Unlined Jacket on PatternReveiw.com. Does your favorite jacket style close in the center front or asymmetrically? Just tell us your preference to enter the jacket class giveaway. (A random winner will be drawn next Monday) Congratulations to last weeks winner JRP53 who will be joining me in the Beginner’s Guide to Sewing Jackets on PatternReview! Good luck on your jackets! Hi–I prefer center closures. I generally do not button my jackets, so I like them to hang open evenly. My preference is for a jacket with a center closure. It just looks better on me. I redesigned jacket pattern in to asymmetrical style, that I then wore to a SciFi convention. The jacket was such a hit, that I had to constructed another jacket (to wear in this universe). The jacket line drew attention up to my neckline, and away from my waist, an added bonus. The more conservative style was still quite eye catching. All my jackets are center front open, but I would love to try an asymmetric one, like a motorcycle jacket. I love for my jackets to close in the center. I do like both but probably choose the center front closure more often. A lot of my jackets close at the center front but I do prefer a double breasted jacket. The asymmetrical look is kind of neat as well. I like the asymmetrical jacket. I like the lines. And, I love the fact that it’s not all centered and not perfect, just like me! I always go for the center front closure but I also have large but area and sometimes have that horrible center gap. I would love to try the asymmetrical closure to compare the looks. I have battled for a long time to get a good fit on a jacket and feel I am now getting there. I have not tried an asymmetrical design, but would love to do so now. I like the look of the asymmetrical closure. Thanks for the tutorial and a chance at the giveaway. Both of my favourite winter jackets close in the centre, so I’d say I lean towards that. Hi Angela, My preference is a centre front closure. I love the style of the jacket you posted here. Is it one of your patterns? All my jackets close in center front. I wonder if an asymmetrical one can be possible for those of us built like a “little teapot”? I really like asymmetrical closures as an eyecatcher to my outfit! Lapels are not easy for me. I get a lot of help from reading outstanding articles like your. My favorite pattern is my French cardigan jacket pattern which you helped me with fitting during a PR class. I am currently working on my 4th version of it. So center front it is! I have never really come across too many jackets in ready to wear that have an asymmetrical closure. I guess then by default I prefer center closure! 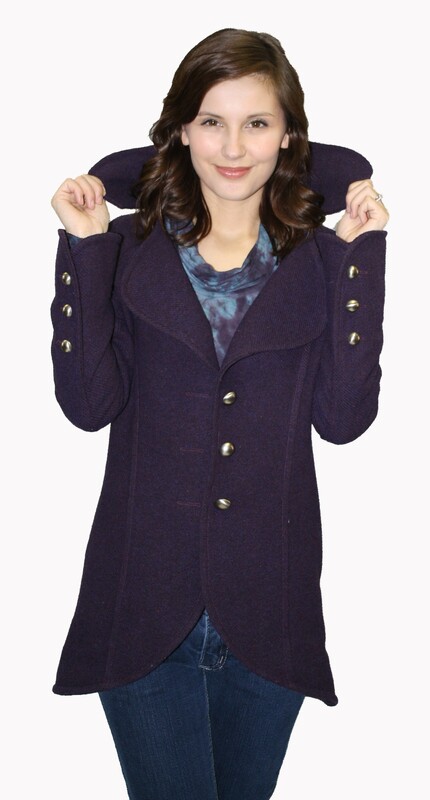 I love the asymmetrical style & because my jackets are usually zipped and buttoned the closure would be a great feature. I have yet to sew one but have been on the lookout for the right pattern & fabric combination. Perhaps a class is the motivation I require to get the project started! Both, but I tend to sew front closures more. I love a asymmetrical closure. I also love the traditional P coat. Thank you for the toutorial. I prefer asymmetrical, however dont think the style suits me. I always tend to like a style that isnt quite right for my body shape! My favorite jacket style closes center front. I love asymmetrical! It’s striking I think. I like a center closure though they’re very rarely buttoned! I actually like an asymmetrical front closure. It’s different from a lot of jackets and I like to be able to “help” in the design process. I need to learn better techniques, though! All of my jackets close in front, but I would love how to master a an asymmetric front closure! 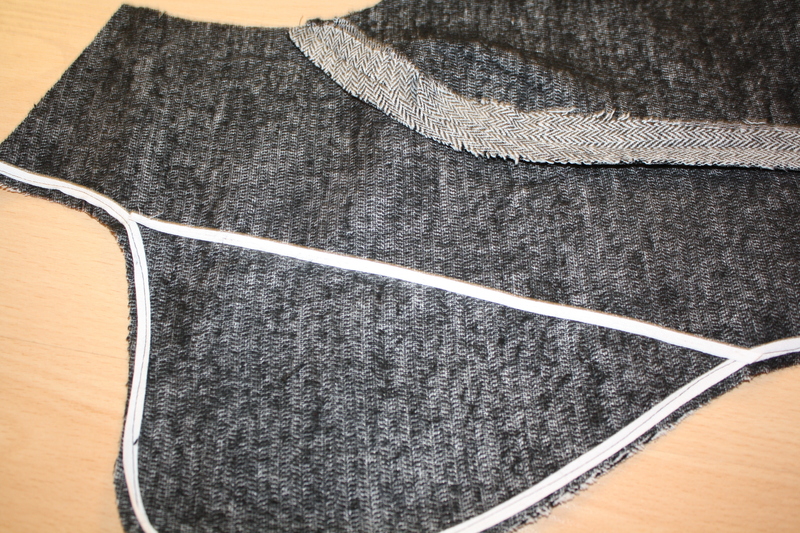 My hope is for a front closure (buttons) with a notched lapel, sleeve vents and hopefully learn how to ‘bag’ a lining. I just CAN”t get the stitching right on the collars. I always end up with a hole or a pucker in the corners. I prefer a jacket with a center front closures. I prefer a jacket that closes in the center front, but I suspect that’s because I rarely wear my jackets done up. Angela, I really liked your tip for getting rid of pointy collar corners in this week’s episode of It’s Sew Easy – thank you! I like center closures, but an asymmetric is cool, too, for a change. I like any jacket, pretty much! I actually like both! However I am also big busted and narrow shouldered and have the gapping problem big time! Would really like to try this closure since it would update clothes and move jackets out of a granny look!!! !